Clear, timely, actionable feedback – every day! 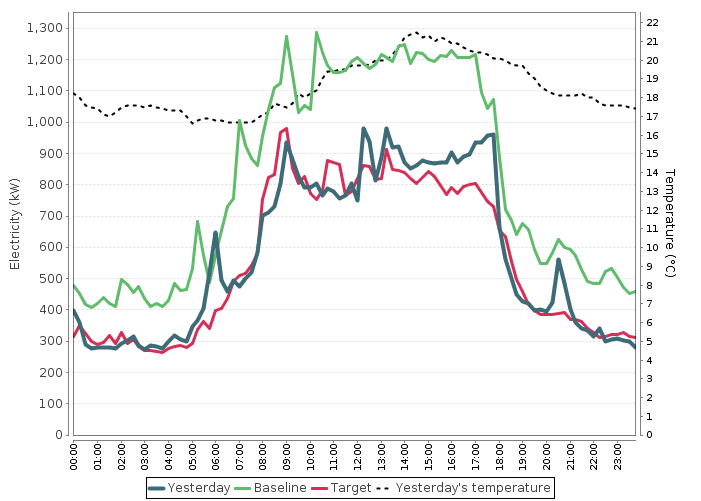 Building operators receive daily REF messages via email conveying timely and actionable energy performance information. 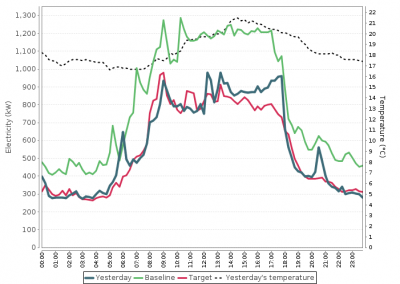 The messages are generated by our sophisticated data warehouse and processing platform which automatically predicts energy use from 15-minute interval weather data and other variables and then compares it to actual energy usage profiles. Operators get a clear message: performance was either as expected, or better or worse than expected. 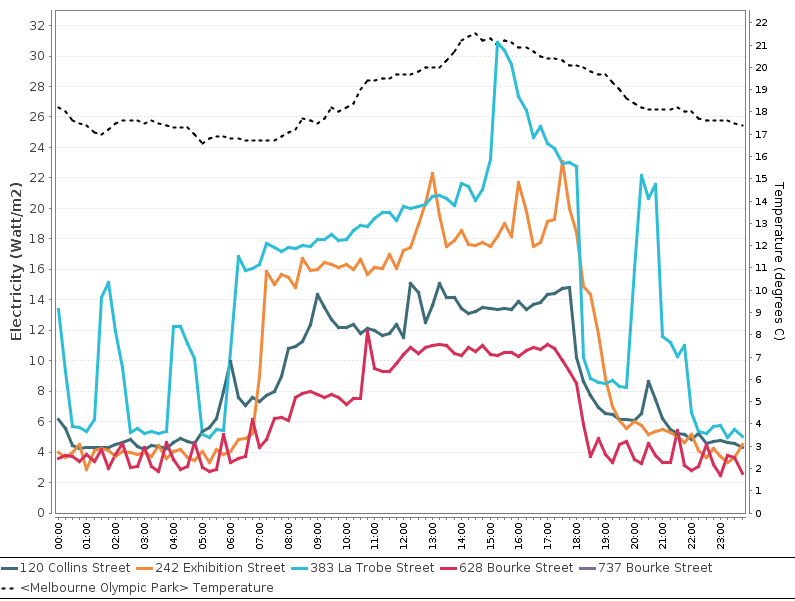 Messages also provide trend information and graphics comparing the building’s profile with nearby buildings and ‘like days’, where the model predicts energy use should have been near-identical. The format is able to be configured according to the needs of the audience, for example, high level summary messages can be produced for your executives and senior managers. Great news! 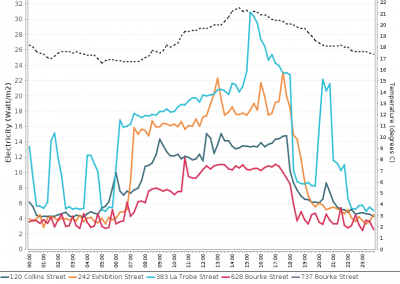 1 Sample Street’s electricity use was only 5% off its target for the conditions yesterday. This result was 29% below baseline and beat the average for the past fortnight by about 1%. Please let us know if you’d like to discuss strategies that might help achieve that extra 5% saving! NMI Data for Yesterday (Tuesday 31 January 2017), the target profile and REF’s expected profile.